Dogs can sniff out early signs of cancer in humans with nearly 97 per cent accuracy, scientists revealed. The remarkable ability of dogs which have smell receptors which are 10,000 time more accurate than humans’ makes them highly sensitive to odours we can’t perceive. 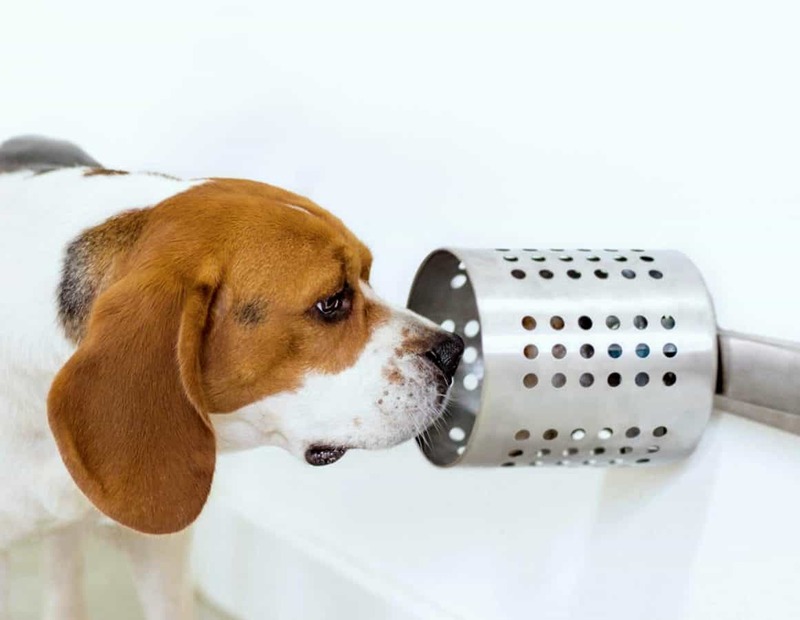 Three beagles were trained to sniff out malignant lung cancer in samples from patients and researchers said dogs could soon be part of new cancer-screening that are cheap and just as accurate but less invasive than current methods. She said: “Although there is currently no cure for cancer, early detection offers the best hope of survival. “A highly sensitive test for detecting cancer could potentially save thousands of lives and change the way the disease is treated. “This work is very exciting because it paves the way for further research along two paths, both of which could lead to new cancer-detection tools. Although one beagle – named Snuggles – lacked the motivation to take part, the other three dogs correctly identified lung cancer samples 96.7 per cent of the time and normal samples with a 97.5 per cent success rate.